Form builder is the must have a plugin for any website, it allows you to create the stylish and intuitive forms for your website. Having contact forms, submit forms or other kinds of forms on your website keeps you connected with your visitors. Using those forms in your websites, your audience can easily reach you and share their queries, thoughts. Direct connection with your audience helps you improve and grow the business. Forms on your website make it look more professional and engage your visitors as well. These days people are in search of more convenient ways to get their things done. So, manually sending emails, mobile/phone calls to get queries solved is now not preferred. Whenever they have query the want the simple, convenient and fastest way to reach the concerned individual or the depart, and the contact form does that. Forms are the indirect way for the cordial relation between you and your audience. Having an attractive web form is important. And getting a well-designed web form is simple. So what to wait for? There are many free and premium WordPress form builders available that help you build a well designed, engaging web forms for your website. In this article, we bring you the Top 5 best WordPress form builder plugins. Using these plugin you can easily create web forms with the required section an insert in any page and post of your choice. All these plugins offer beautiful form layouts and many other customization options. They are simple, secure and feature rich. AccessPress Ultimate form builder lite is simple yet feature-rich free WordPress Plugin with fully responsive design. It is an easy-to-use plugin with few click setup process. The plugin allows you to create a different kind of forms with drag and drop interface. 5 beautifully designed form templates are available with Ultimate Form Builder Lite. It is a beginner friendly plugin with which anybody can design an engaging web form without touching a single line of codes. Form Maker is an advanced free WordPress Form Builder Plugin with a user-friendly interface. It allows you to create highly customizable and responsive WordPress forms easily within a few minutes. It is a drag and drop form builder that let you build a modern designed, responsive web forms with simple drag and drop. Also, it allows you to set the parameters for certain fields such as a size of element, colors, and fonts. The Plugin includes text input, multiple/single choice, time and date, select box, survey tools, Google ReCaptcha and much more. WPForm is the powerful, feature-rich free WordPress form builder plugin. It is an easy and user- friendly form builder plugin, which allows you to create a beautiful contact form, subscription forms, payment forms, and many other types of forms for your website within a few minutes. It is fully responsive and comes with pre-built form templates to choose from.You can simply design form by drag and drop interface and also create a high-performance form using WTForms’ smart conditional logic. If you want the best contact form plugin for your WordPress site, then WP Forms is the great option. Ninja Forms is yet another very popular WordPress form builder plugin with simple yet powerful drag and drop form creation interface. It is very flexible and gives you much more than just contact form functionality. It allows you to create subscription forms, surveys, or anything else that can be done through a web form. This plugin is customization ready, translation ready, controls the every element of the form and take care of form submission right from the dashboard. Formidable Forms is a powerful and flexible free WordPress plugin for quick and simple form creation. It allows you to create a form using a beautiful drag and drop interface. And have an option to choose pre-built contact form templates or design your own template. It allows you to customize the layout of the form as you like and it offers form template with six field types: single line text, paragraph text, checkboxes, radio buttons, drop-down, and reCaptcha. These plugins are carefully handpicked analyzing their popularity, usability, and functionality.A professional website without a web form is incomplete Web form plays a vital role to connect you with your web visitors and get them engage with your business. 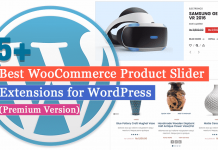 There are many options available out there and finding the one is really hard, so the top free WordPress plugin listed above will surely cut down your search, and hope you will find one of them worthy. Let us know which one you are finally picking up or if you have it already, share your experiences below in the comments! Get more Free WordPress Plugins for various niches. Hey Buddy!, I found this information for you: "Top 5 Best Free WordPress Form Builder Plugins". Here is the website link: https://wpallclub.com/best-free-wordpress-form-builder-plugins/. Thank you.